Orders are fulfilled same working day if possible. Order by 2.30 pm and we will try to dispatch your orders same day when possible (working days are Mon-Fri, closed weekends and Bank Holidays). We only charge what we pay for shipping and we try to keep this cost as low as possible. If you are not happy with our delivery price then you can always collect in person or arrange collection by your own courier service. We are open Mon-Sat 10am til 3pm. Deliveries to England, Wales, and Southern Scotland is generally £8.49 for upto 25Kgs. One stick is less than 1Kg, so order as much as you can and you will almost certainly only pay just one delivery charge. Deliveries to Northern Scotland (Highlands and IV postcodes), Northern Ireland and any other EU locations will attract increased transit costs, a £10-£25 surcharge covers most of the EU just fill your cart, checkout will automatically calculate the shipping charge at cost and display before you buy. You should be over the age of 18 years to purchase goods from the EASYPUCK Website. 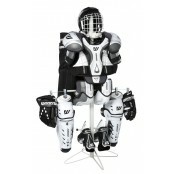 2.2 These terms and conditions apply to all Hockey supplies and ALL Goods by us to any customer. They prevail over any terms proposed by you. 2.7 All money sums mentioned in this agreement are calculated net of VAT, prices displayed on our website are clearly shown to be inclusive or exclusive of VAT which will be charged when payment is due. 2.9 In any indemnity, a reference to costs or expenses shall be construed as including the estimated cost of management time of the indemnified party any such cost is calculated £100 per hour plus VAT. 3.3 Though we do our absolute best to keep stock levels correct, we do not guarantee that Goods advertised on our website are available. 3.4 We may change these terms from time to time. The terms that apply to you are those posted here at easypuck on the day you order Goods. We advise you to print a copy for your records. 4.2 At any time before the Goods are despatched, we may decline to supply the Goods to you without giving any reason. A dispatch confirmation email and or mobile text will be send electronically to you at the time of dispatch of goods. 5.1 It is possible that the price may have increased from that posted on our Website, generally this is related to additional postage charges being required. If that happens, we will not send your order until you have confirmed and paid for the new price. 5.2 Prices include UK value added tax (“VAT”). If you show by your delivery address that you reside outside the United Kingdom, VAT will be deducted at the payment point. 5.3 Full payment must be received for your order before any part shipment can be made. 5.8 If we owe you money (for this or any other reason), we will credit your Paypal account, credit or debit card as soon as reasonably practicable but in any event no later than 14 days from the date when we accept that repayment is due. 7.1 You may cancel your order at any time before we despatch your order or before the expiry of 7 working days from the date you receive your order, not including the day you received it. 7.4.3 Equipment which has been worn, scratched, misused or damaged in any way, including excessive easing and tearing of stitching and fabrics to appear to be manufacturer’s defects. 7.4.7 Shrink wrapped, Blister Packed or otherwise sealed such as water bottles, sticks, jerseys, socks, which has been opened. 7.4.8 Skates that have been worn, sharpened, oven treated, fully laced. 7.4.9 Does not appear to be as NEW as was supplied. 7.6 After we have despatched the Goods, you may cancel your order provided that you notify us within seven days of receipt and return the Goods to us within fourteen days. If you do, we will refund to you the price of the Goods without our delivery charge, unless collected in person, when a full refund shall be issued. If you post is included within the price of the item then a max UK postal charge of £7.99 inc vat will be deducted. 7.7 If you cancel your order after we have despatched the Goods, you must return them to us in the same condition in which you received them. We cannot refund your money if the Goods have been used, worn or damaged, as stated in 7.4 above. 7.8 You are responsible for the cost and the risk of returning them. We are not obliged to refund to you your cost of re-packing and returning the Goods. 7.9 To assist us in identifying your Goods on receipt by us, we ask you to follow our online RETURNS procedures (details found on our site). 7.10 If you fail to return the goods, within 14 days, we are entitled to arrange for their collection. If we do we shall look to you to repay us the cost of collection which carries a double premium. 7.11 We will refund your money; less postal deductions, within 14 days of receipt by us of the returned Goods. 7.12 The Law expects an expert to help a buyer to avoid buying a product which may be unsuitable in some way. 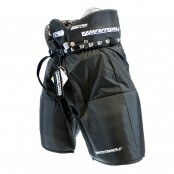 We are Expert Hockey Retailers, though if you do not ask for our assistance. You alone must decide whether a product is suitable for your requirement. 8.1 EASYPUCK does not offer credit accounts to customers, though if goods have been dispatched without payment upfront due to our good will, we expect that bill to be settled promptly within 48 hours of dispatch. 8.2 All goods remain the property of EASYPUCK until they have been fully paid. 9.1 Deliveries will be made by the Carrier to the address as typed by you and stipulated in your order. You must ensure that someone is present to accept delivery. 9.2 If we are not able to deliver your Goods within 2 delivery attempts, usually consecutive days following the date of your order, we shall notify you by e-mail or phone to arrange another date for delivery. 9.3 If we are not able to deliver successfully on the Third occasion, you will incur a charge levied by the courier firm for returning the goods to EASYPUCK normally £10 + VAT. Your order will be cancelled and a refund for the balance issued. It is your responsibility to be available to receive goods at the address you requested. 9.5 Most goods must be signed for on delivery by an adult aged 18 years or over. If no one of that age is at the address when the delivery is attempted the goods may be retained by the driver. Or left with a neighbour (when a card will be posted through your door).When your Goods arrive it is important that you check immediately the condition and quantity. If your Goods have been damaged in transit, you must refuse the delivery and contact us so that we may dispatch a replacement quickly and minimise your inconvenience. 9.6 Signing "Unchecked", "Not Checked" or similar is not acceptable. 9.7 Goods are sent by Royal Mail 1st and second class post. We will send you a message by email to tell you when we have despatched your order. We do store and file all postal receipts as evidence that your goods have been dispatched. Should a dispute arise your postman may request that you complete a claim form, prior to us shipping out a replacement. 9.8 If we agree with you to deliver on a particular day or at a particular time, we will do our best to comply. But no time given is to be treated as contractual. So we are not liable to you for any expense or inconvenience you incur on account of delayed delivery or non-delivery. 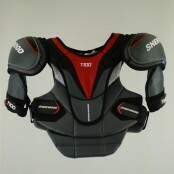 9.9 Some items may be delivered direct from the manufacturer who will contact you to arrange delivery. When delivery of the items has been arranged directly with the manufacturer, you will be subject to the manufacturer's delivery policy. This is treated as a special order situation. 9.10 Some items are so large and heavy that delivery times may be slightly longer. In this case, approximate delivery dates will be given when you place your order. 9.11 Time for delivery specified on the Order, if any, is an estimate only and time shall not be of the essence. 9.12 We are happy for you to pick up Goods in person from our warehouse please make an appointment in advance and payment has been received into our bank. We cannot accept cheque’s on arrival. 11.2 If we agree that we are liable, we will refund with a store voucher the cost of return carriage and will repair or replace the Goods free of charge. 12.1 We do not accept returns unless you buy the goods from us as a retail consumer, or there was a defect in the Goods at the time of purchase, or we have agreed in correspondence that you may return them. 12.2 Before you return a product to us, please carefully re-read the instructions and check that you have assembled it correctly and complied with any provisions relating to the power supply, plugs and sockets. 12.4.5 with full knowledge that postage and delivery charges will be deducted from any refund, should one be granted. 12.5 The procedure for return of Goods is set out on our website. If you do not follow this procedure, we may be unable to identify you as the sender of the Goods. 12.6 Detailed instructions for returning a faulty item are on our web site found at the bottom of our front page under RETURNS https://www.EASYPUCK/my-returns. Please note in particular that we cannot deal with your complaint unless you return the entire product that you bought: that is to say, with all components and parts and in the original packaging. 12.7 In returning a faulty item please encloses with it a note clearly stating the fault and when it arises or arose. 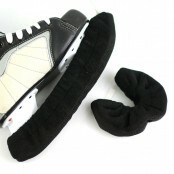 12.8 Most Ice Hockey Goods are covered by the manufacturer's guarantee for a minimum of 3 to 12 months. Please first check the individual manufacturer’s warranty and manufacturer's operating instructions before making any claim. 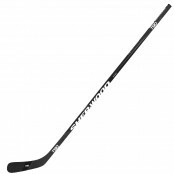 12.9 Ice Hockey Sticks do not carry any warranty and are labelled clearly as such, manufactures offer up to a 30 Day LIMITED WARRANTY. 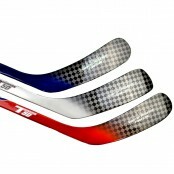 Each stick carries a unique serial number which is recorded by us at the time of sale, should this serial number be removed then NO Warranty can be claimed. 12.10 If delivery was made to a UK address, you are also protected by the Sale of Goods Act 1979 and Supply of Goods and Services Act 1982. 12.11.2 repair or replace the item as we choose. 13.1 These regulations provide that suppliers of equipment like high street shops and Internet retailers must allow consumers to return their waste equipment free of charge. 13.2 Our obligation is to take back from you any electronic or electrical product when you buy a replacement product for similar use. 13.3 If you wish to take advantage of this service, you must return your waste item within 28 days of buying your new item. You must pay the carriage cost to us. 14.1 Conditions, warranties or other terms implied by the law of any county other than England and Wales / Scotland / Northern Ireland are excluded from this agreement to the fullest extent permitted by law. 14.2 We or our Content suppliers may make improvements or changes to Our Website, the Content, or to any of the Goods, at any time and without advance notice. 14.3 You are advised that Content may include technical inaccuracies or typographical errors. This is inevitable in any large website. We would be grateful if you bring to our immediate attention, any that you find. 14.4.7 non-infringement of any right. 14.5 We are not liable in any circumstances for special, indirect or consequential loss or any damages whatsoever resulting from loss of use, loss of data or loss of revenues or profits, whether in an action of contract, negligence or otherwise, arising out of or in connection with your use of Our Website or the purchase of Goods. 14.6 Except in the case of liability for personal injury or death, our liability under this contract is limited, to the maximum extent permitted by law, to the value of the goods or services you have purchased. 15.1 If you use Our Website, you are responsible for maintaining the confidentiality of your account and password and for preventing any unauthorised person from using your computer. 15.2 You agree to accept responsibility for all activities that occur under your account or password. You should tell us immediately if you believe some person has accessed your account without your authority and also log in to your account and change your password. 16.1 We may, at our discretion, read, assess, review or moderate any Content Posted on Our Website or Facebook page. If we do, we need not notify you or give you a reason. 16.2.15 request personal information from other users nor Post any unnecessary personal information about you or any user without his permission. 16.2.16 link to any of the material specified above, in this paragraph. 17.3.4 sending age-inappropriate communications or Content to anyone under the age of 18. 18.7 you now irrevocably authorise us to publish feedback, comments and ratings about your activity through Our Website, even though it may be defamatory or critical. 18.8 you now irrevocably release us from any right or claim of yours arising out of or in connection with any item of feedback, rating or other Content Posted by you. 19.3.1 Your claim or complaint must be submitted to us in the form available on our website, or contain the same information as that requested in our form. It must be sent to us by post or email. 20.11 upload or republish any part of our Content on any Internet, intranet or extranet site. 20.14.3 framing”, inserting pop-up windows, interstitial pages or advertisements, or similar techniques. 20.15.1 create a hyperlink to Our Website for the purpose of promoting an interest common to both of us. You can do this without specific permission. This licence is conditional upon your not portraying us or any product or service in a false, misleading, derogatory, or otherwise offensive manner. You may not use any logo or other proprietary graphic or trademark of ours as part of the link without our express written consent. 20.15.2 you may copy the text of any page for your personal use in connection with the purpose of Our Website. 23.1 We will do our best to maintain Our Website so that you have constant use, but there will be times when your use may be interrupted. 23.2 You agree that you will not, and will not allow any other person to violate or attempt to violate any aspect of the security of Our Website. 23.3 You may not use any software tool for the purpose of extracting data from our website. You understand that any such violation is unlawful in many jurisdictions and that any contravention of law may result in criminal prosecution. 24.1 No amendment or variation to this agreement is valid unless in writing, signed by each of the parties or his authorised representative. 24.2 So far as any time, date or period is mentioned in this agreement, time shall be of the essence. 24.3 When we communicate with you we do so by email. You agree that email communications are contractually binding in the same way as properly signed and dated paper sent by post. 24.4 Where we provide goods or services without specific charge to you, then it (or they) is deemed to be provided free of charge, and not to be associated with any other goods or service for which a charge is made. Accordingly, there is no contractual nor other obligation upon us in respect of those goods or that service. 24.5 If any term or provision of this agreement is at any time held by any jurisdiction to be void, invalid or unenforceable, then it shall be treated as changed or reduced, only to the extent minimally necessary to bring it within the laws of that jurisdiction and to prevent it from being void and it shall be binding in that changed or reduced form. Subject to that, each provision shall be interpreted as severable and shall not in any way affect any other of these terms. 24.6 The rights and obligations of the parties set out in this agreement shall pass to any permitted successor in title. 24.7 No failure or delay by any party to exercise any right, power or remedy will operate as a waiver of it nor indicate any intention to reduce that or any other right in the future. 24.8 Any communication to be served on either of the Parties by the other shall be delivered by hand or sent by first class post or recorded delivery or by fax or by e-mail. 24.9 In the event of a dispute between the parties to this agreement, then they undertake to attempt to settle the dispute by engaging in good faith with the other in a process of mediation before commencing arbitration or litigation. 24.10 This agreement does not give any right to any third party under the Contracts (Rights of Third Parties) Act 1999 or otherwise. 24.11 Neither party shall be liable for any failure or delay in performance of this agreement which is caused by circumstances beyond its reasonable control. 24.12 In the event of any conflict between any term of this agreement and the provisions of the articles of a limited company or any comparable document intended to regulate any other corporate or collective body, then the terms of this agreement shall prevail. 24.13 The validity, construction and performance of this agreement shall be governed by the laws of England and Wales / Scotland / Northern Ireland. If you have any questions or concerns or complaints about our terms or any part of our business please write to us, we will be happy to respond.